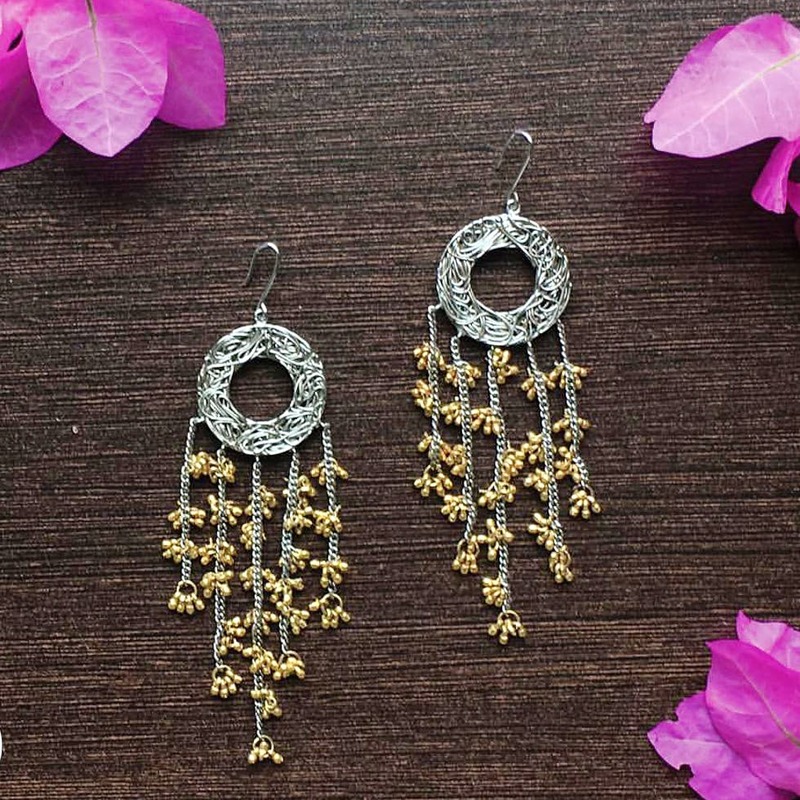 Aaree Accessories is an online jewellery label that makes use of age-old handicraft methods like Meenakari, Aari, filigree to craft beautiful pieces. Everything handcrafted and unique is just what you can expect from Aaree. The fact that Aaree has artisans skilled in the traditional techniques of making jewellery makes it artsy and awesome. Run by Aashini Adani, a NIFT graduate has a team of artisans who craft jewellery from brass and semi-precious stones that are handpicked from Jaipur and Khambhat. The store has six collections that include Summer Roots, The Tassel Affair, Floral Ray that you can shop from. We checked out the bracelets section and found the Ghoongri bracelets pretty amazing as it reminds us of retro ghoongur; we are fond of statement rings, and Aaree has a few classic cut pieces like half moon rings, vintage coin rings. Perfect for slaying that am-pm look, of course! If you like to keep it simple with outfits but cannot leave the house without an elaborate neckpiece, a classic silver neckpiece or a one paise coin necklace will sort your style quotient. While you are at it, don't forget to grab tasseled earrings, classic hoops, and danglers. But if there is one thing we recommend you pick, it's the elephant motif earrings from the Floral Ray collection.